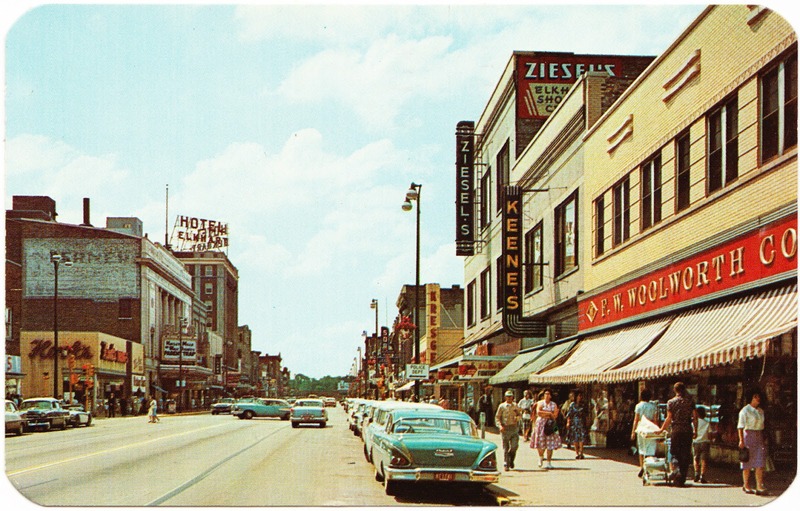 Papergreat: "World leader in the Mobile Home and Musical Instrument industry"
"World leader in the Mobile Home and Musical Instrument industry"
This rounded-corner postcard from the 1960s touts Elkhart, Indiana, and shows off its vibrant downtown. The text on the back of the postcard states: "World leader in the Mobile Home and Musical Instrument industry. A good place to live and work." "Elkhart is best known for two industries: recreational vehicles and musical instruments. It has been referenced as the 'RV Capital of the World' and the 'Band Instrument Capital of the World' for decades. ... Numerous manufacturers of musical instruments and accessories, of which most of the surviving companies have been absorbed into the Conn-Selmer conglomerate, have a long history in the city. Elkhart is also home to the Robert Young Rail Yards, which are the second-largest freight classification yards in the world." "Dear Emeline: I mailed you a box before we left — the bracelet is for you and the watch for Tommie [?] — give the scarf to Skip or Jerry or whoever needs it. We got here Fri afternoon — had a nice trip — good weather until Fri when it snowed all day. It was melting this morning which helps. We want to wash the car — sure is dirty. We expect to call you tomorrow or maybe tonite. Thought you could send our mail here. We'll be here until next Wed. Our address is Echo Motel, 801 W. Bristol St., Elkhart, Ind. Love, Esther and Larry." Oh, one last thing. 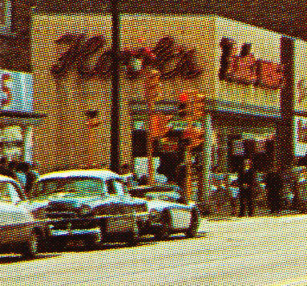 While looking at a magnification of this postcard, I noticed a very small automobile. Looks foreign. Anyone know what make/model this is?